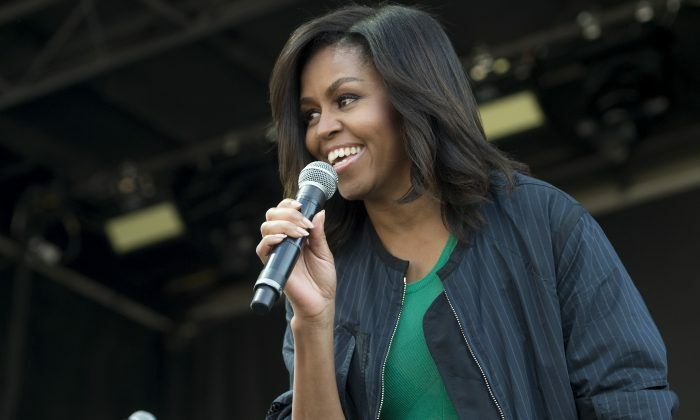 Michelle Obama is set to make a guest appearance in an episode of the CBS show “NCIS.” The appearance is to have the show be a platform supporting military service members, veterans, and military families. According to CNN, the first lady will appear as a part of her efforts with the “Joining Forces” initiative she launched with Jill Biden, wife of Vice President Joe Biden, in 2011. Entertainment Weekly reported that Obama will appear in character as herself, and it will be set in her home, The White House. In the episode, the first lady will bring NCIS Special Agent Leroy Jethro Gibbs, a Marine’s wife, and actual military spouses to the White House for a roundtable. In an Inquisitr report, it’s noted that Michelle Obama is following a tradition of first ladies featured in televisions, notably scripted sitcoms. However, the guest appearance on “NCIS” is a marked turn towards a more serious dramatic style. Like other first ladies before her, she’s made plenty of interviews on TV and appeared on a number of scripted television shows, including most prominently a couple of sitcoms. With that in mind, her first appearance in a drama marks a big change for Obama. President Barack Obama has been praised for his attention to, and participation in, pop culture throughout his presidency, making appearances on sitcoms and commenting on the death of pop icons like Prince. In 2014, Obama made appearances on both Jessie and Parks and Recreation, both TV sitcoms, with many commending Obama’s acknowledgment of popular culture during her time as First Lady. “I think Hillary Clinton is a phenomenal woman, and I’ve gotten to know her, and I think she’s made some pretty major contributions over the course of her life,” the first lady said at a Take Our Daughters and Sons to Work Day event.